System for ALL Public Works agencies in Illinois. with personnel and resources for both natural and man-made disasters. Agencies strong and growing each and every day! 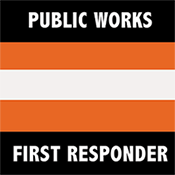 It is the mission of IPWMAN, in the spirit of intergovernmental cooperation, to develop and maintain a statewide network of public works related agencies whose principal purpose is to provide mutual aid response and recovery assistance to each other when confronted with natural or man-made emergencies and disasters. Founded in 2009, the Illinois Public Works Mutual Aid Network is envisioned as an all-hazards, all-disciplines approach to sharing resources between various Public Works entities in Illinois.